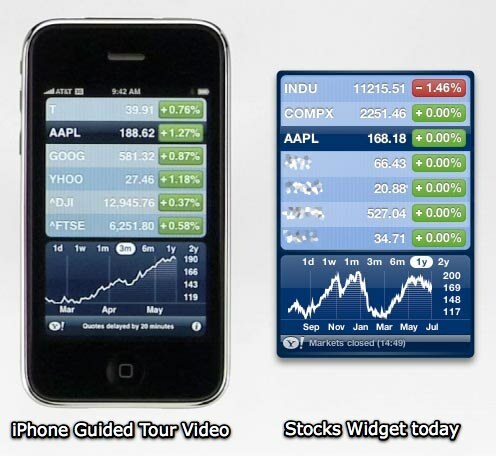 I find it very cute how you selectively zoom into your stock's chart in your "iPhone 3G Guided Tour" video, so that we can only see your valuation rally dramatically. Don't forget, though, that reality looks a bit dimmer (unless you bought in February, yay!). Due to recent irregularities involving, ahem, certain derivatives of your stock, I'd suggest being a bit more careful with incidents like this, especially since many of your customers are also stockholders familiar with your company's valuation. Chyrp Ping-o-matic module for 2.0b3 → ← VienNav: Now available in Dutch too!